AlamyMost banks require a minimum score of 660 in order to grant borrowers a conventional mortgage. If you've been sidelined from buying real estate because the bank won't give you a mortgage, you still may have an opportunity to get into the market. If you are willing to put in a little work and have patience, you may be able to raise your credit score enough to convince the bank you are a good bet. If your credit score is below 620, any mortgage you get will be expensive because you'll be considered a sub-prime borrower. And most banks require a minimum score of 660 in order to grant you a conventional mortgage. Now that we know what the goal is, the first step is to see where you stand. You do that by getting your credit report, and you can do it easily and free by visiting AnnualCreditReport.com. Once you obtain your reports, go through them carefully. First, look for any items that are inaccurate. That includes false negative data. Are there any late payments reported that weren't really late? Do all the accounts that show up in your file really belong to you? Identify and dispute all errors. Next, look for information that isn't verifiable. In order for negative information to remain on your credit report, the creditor or credit bureau has to be able to prove that the item is true. But over time, many companies lose information, go out of business or are purchased. This means they may not be able to produce proof when you rightfully demand they do so. Use that to your advantage. If they can't come up with the evidence, they have no choice but to fix your report by removing this bad information. Last, make sure that all the negative information is complete. That means looking for any entries that don't tell the entire story. For example, if you failed to pay a bill for good reason -- if you never received the service or product you were billed for, for example -- there is no justification for that failure to hurt your credit score. As a result, the entry is incomplete and must be wiped clean. If you have extenuating circumstances, you may be able to get items removed that while technically true are incomplete. 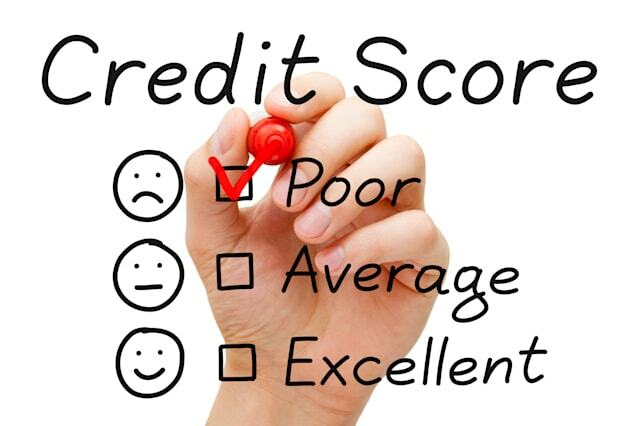 Just remember that the only way to get negative information off your credit report is for the reporting creditor or the credit bureau to remove it. And they will only do that if you force them to. Take a few minutes to familiarize with the laws that protect consumers and let those financial institutions know that you are ready to go to the mat in order to be treated fairly. Either write these organizations yourself or hire a reputable firm to dispute unfair credit entries on your report. Either way, this is your first step. Your payment history accounts for 35% of your FICO credit score. And current balances have much greater weight on your score than older entries. That means it's very important to pay your bills. If a vendor reports a new late payment it will really knock down your score, so be hypervigilant on this front. The next most important component of your credit score is the amount you owe. In a perfect world, you would take extra cash you have on hand and pay off all your credit card balances (but not close the accounts). If you don't have the cash to do that, consider getting a loan from your family. The amount you owe your family won't show up on your credit report, but your lower overall debt will. That's going to boost your score nicely. If getting a loan from the family isn't an option, you might try getting a loan from a peer-to-peer lender. Many borrowers say loans they take from these sources don't show up on their credit report, though that's not always the case. It might be worth a try. Once a legitimate negative is placed in your credit file, it only comes off if the creditor or credit bureau wants it off or seven years pass. Before paying off old bills, contact the creditor and tell them you want to pay off the old amount in exchange for a written guarantee they will remove the old negative item from your credit report. Some creditors will balk at this but since they have the power to put items on your credit report, they have the power to remove them. If they want your account settled badly enough, they'll play ball. Even if you do everything mentioned above, it still takes time to see results. Some experts suggest that if you take all these steps, you can add five or 10 points a month to your score. So depending on your current score, you can do the math and figure out how long it will take to achieve the goal you have in mind. In some cases, it could take 24 months, though occasionally some people have been able to increase their credit score by 100 points in as little as six months. Much depends on your starting point, and your individual history. If you need a mortgage, you want to have the highest credit score you can. Take the steps outlined above and be patient. Prices and/or interest rates may increase while you are waiting, but there is no good alternative. If you rush into buying property with a low score, you'll pay through the nose for a loan -- and you might even end up doing yourself more harm than good.